Eileen Kampakuta Brown (d. 2012) and Eileen Wani Wingfield (d. 2014) led the campaign to block construction of a nuclear waste dump 50 years after nuclear bomb tests caused birth defects, cancer and the poisoning of the environment and wildlife. Aboriginal elders Eileen Kampakuta Brown and Eileen Wani Wingfield survived half a century of government sanctioned nuclear contamination in the South Australian desert from nuclear weapons tests to one of the world’s largest uranium mines. So when the federal government announced plans to bury nuclear waste from Sydney in Australia’s wild desert lands, these elders said “Irati Wanti” the poison, leave it. 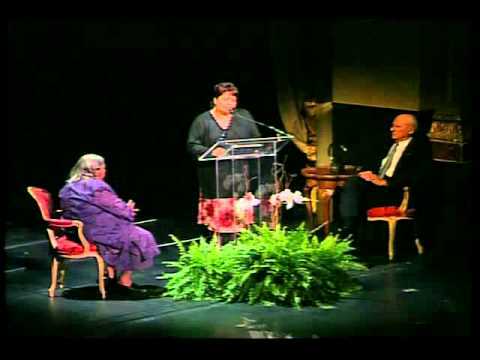 In 1995, Brown, Wingfield and other elder women formed the Kupa Piti Kungka Tjuta Cooper Pedy Women’s Council or Kungka Tjuta, to stop the nuclear waste dump and protect their land and culture. In 2003, Australia’s federal government proposed a new national radioactive waste dump in the central desert of South Australia near Woomera. The proposed dump would have stored radioactive waste in a shallow grave the size of a soccer field shipped from a nuclear reactor in Sydney. The facility, located just three kilometers from a weapons testing range, would store the waste for up to three hundred years. In addition to the threat of this dump, it was widely believed that once the dump was built, the area could be tagged for even more dangerous high-level nuclear waste from around the world. The waste dump campaign was closely watched by the Pangea Group, a US-based consortium that was looking for an Australian site to dump high-level nuclear waste from power plants and nuclear weapons programs around the world. Brown and Wingfield were most concerned about the risk of nuclear contamination seeping into the groundwater that maintains life in their region of South Australia, the driest state in the country. To the Kungka Tjuta, their homeland is not a remote wasteland suitable for the dumping of highly dangerous nuclear waste. “Never mind our country is the desert,” state the Kungka Tjuta. “That’s where we belong.” Many of the region’s water sources are unmapped and unknown by non-Aboriginal Australians, but have sustained Aboriginal people and desert wildlife for thousands of years. The Federal Bureau of Science’s own inquiry admits that the proposed design would not prevent leakage into groundwater in all possible climatic conditions. “We know the poison from the radioactive dump will go down under the ground and leak into the water. We drink from this water. The animals drink from this water. We’re worried that the animals will become poisoned, and we’ll become poisoned in our turn,” explained the Kungka Tjuta’s Declaration of Opposition. The Kungka Tjuta elders saw the effects of nuclear waste firsthand. Between 1953 and 1963, the British military conducted 12 full-scale nuclear weapons tests in the South Australian desert. The government told Aboriginal communities this testing was completely safe. There are even tragic accounts of Aboriginal families innocently sleeping in highly toxic bomb craters. Without knowing the true danger of the bright light and immense cloud of black and red smoke blanketing the sky, communities were caught in the nuclear fall-out. Brown vividly recalls the day a black radioactive mist filled the desert skies: “The smoke caught us. We tried opening our eyes in the morning, but we couldn’t open them. Our eyes were sore, red and shut.” Many got violently sick with radiation poisoning; others went blind; many developed cancer and quickly died. Kangaroo, emu and echidna (porcupine) in the area, an important food source for Aboriginal communities, were also poisoned. Brown’s nephew was one of those who lost his sight as a child. Birth defects, cancer and asthma are now alarmingly common among Aboriginal communities. More than 50 years after the first nuclear bomb detonation in the South Australian desert, Aboriginal communities found themselves in another fight for their lives. Not willing to endure further degradation of their land and a new round of health threats, Brown, Wingfield and the Kungka Tjuta led the campaign to stop the waste dump. Working tirelessly, despite their age and failing health, Brown and Wingfield brought the Aboriginal peoples’ fight against the proposed nuclear dump to the world stage. They traveled 3,000 kilometers — a three-day bus trip — to protest the dump. They wrote government officials, visited Parliament House, brought their message to the Olympic games in Sydney and partnered with the environmental community in Australia’s urban centers to organize the successful online IratiWanti.org campaign. Eighty-seven percent of South Australians polled opposed construction of the radioactive waste dump at that time. Despite the opposition, the Australian government plowed ahead with their plans to build the dump. They have planned to spend over a quarter million on a “re-education” public relations campaign to address the “concerns” of South Australians and sway state public opinion. All federal assessments for the radioactive waste dump are complete. The federal government has given clear indication that it will attempt to override South Australia’s state laws and continue Australia’s shameful legacy of poisoning Aboriginal land and people. 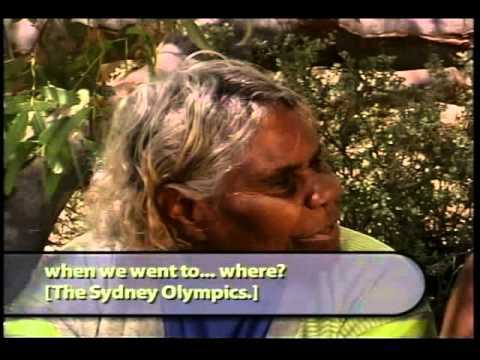 Brown, Wingfield and the Kungka Tjuta elders have their own legacy to fulfill. They will continue to fight for a healthy environment and pass on vital cultural and environmental lessons learned from their grandmothers.